IT SEEMED like a regular request coming from the man who has not only been Australia's leading run scorer this summer, but also the resident Queensland captain. But when Usman Khawaja asked for one of the change rooms at the Gabba to be unlocked, an unnamed and clearly uninitiated ground official headed off towards the one to be used by the visiting Pakistan cricket team. Khawaja revealed the case of mistaken identity as he fronted a press conference ahead of his first Test match against his country of birth. "I was like, 'Oh man. No, I'm that way thank you,'” he said. Khawaja was born in Islamabad and lived in Pakistan until he was four before his family moved Down Under. The occasion is not lost on the 29-year-old left-hander who has reclaimed his spot at No.3 in the Aussie batting order after scoring a team-high 314 runs in a losing series against South Africa. 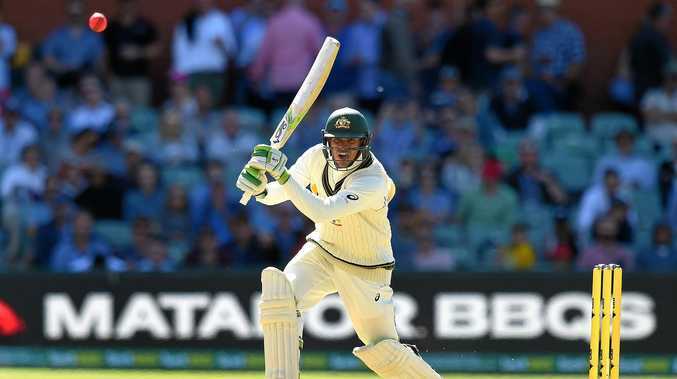 "My parents are Australian but they're also very Pakistani,” Khawaja said. "The way I act and what I do is very Australian, but ... it (his Pakistani heritage) is a big part of my life when I'm with my parents and around my parents. Khawaja will also come up against his former coach in Mickey Arthur, who famously axed him from the team in India in 2013 over the so-called "homeworkgate” saga. "It's water under the bridge. It was so long ago,” Khawaja said. "I'm not spiteful ... I'm not the kind of guy who holds on to grudges.